The new owners of Eurosport are to put their mark on the sports service, with a major new look and social media campaign starting Friday 13th November. In a move that will mean more distinctive national channels for Eurosport, the service is ditching the ring of stars, representing the European flag and replacing it with a single star. The ring of stars logo dates back to the channel's start in 1989, when it was launched in conjunction with the European Broadcasting Union. According to Eurosport, which reaches 151 million homes across Europe with its main channel, has had a "generic European feel in the past which has not always suited viewers' increasing preference for a channel tailored to national tastes. " Originally, the channel operated as a single free-to-air entity with different language soundtracks, absorbing rival sports network Screensport on 1st March 1993. Then, in the late 1990s, the channel started opening its first national pay TV variants, including British Eurosport. This is the path new owners Discovery, who bought out French broadcaster TF1 in a deal that completed in October, want to take the channel in the future, with each national version of the channel featuring big-name pundits and presenters, something that wasn't possible when it was a single video, multi-language service. Reuters reports that Discovery will adopt the so-called Rupert Murdoch "battering ram approach" to promote itself, where a broadcaster uses its best assets, or content, to attract customers and then promote other products. It's also been announced that some Eurosport programming will be distributed on Discovery's free-to-air channels to reach a wider audience in the future, a move that has been piloted in the UK in the past year on Freeview channel Quest. Linked in to the relaunch, Eurosport will start a new social media campaign connected to its new slogan "Fuel My Passion". Using the hashtag #sharemypassion, viewers around the world will be encouraged to share their support for their favourite sport, sporting idol or team on social networks. Eurosport will be the home of the Olympic until at least the middle of the next decade, following a deal between the International Olympic Committee (IOC) and Discovery. Discovery plans to launch a dedicated Olympics channel across Europe, although it will also be sub-licensing Olympic coverage to free-to-air terrestrial broadcasters across the continent, in order to meet legal requirements in various countries pertaining to the free-to-air availability of the Olympics. In the UK, Discovery/Eurosport's full control of Olympic rights will not begin until 2022, thanks to an existing deal between the BBC and IOC signed in 2012. Eurosport has traditionally always shown the Olympics, thanks to its connections with the European Broadcasting Union, which it lost when Discovery took over the channel. That's why the deal announced with the IOC earlier this year effectively saved Eurosport's Olympic coverage. The move to launch national versions of Eurosport means Discovery can target premium sports rights as they become available in each country, reflecting the splintered sports rights market across the continent. 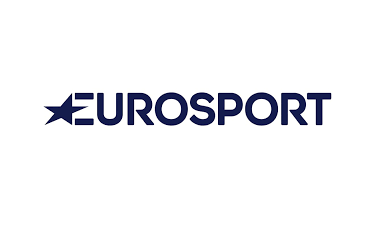 In the past, Eurosport benefitted from sports rights collectively purchased through the European Broadcasting Union, which included wintersports, tennis and cycling. However, more and more sports rights are being carved up by strong national pay TV operators, which has until now left Eurosport out of the picture when it comes to bidding for premium sports rights, notably football. Eurosport has however indicated it's shying away from bidding for Premier League football rights for its UK channel, with the ongoing battle between BT and Sky forcing prices sky high. More national channels, but why drop the "British" from "British Eurosport"? The move brings Eurosport in line with other channels. Channels such as MTV, Nickelodeon, TLC and Discovery are known as such, without a "British" or "UK" prefix or suffix in their name, although all of these channels are local versions of international networks. I wonder which FTA (i.e.) "Free-To-Air" satellite tv channel on Astra 28.2 will the revamped version of Eurosport use when they are looking to dramatically increase their exposure of certain events in the future. Last time I checked out the channel: "Quest" it was definitely not Free-To-Air on digital satellite platforms such as: "Freesat From Sky". As long as it's free via Freeview, that will tick the necessary boxes. (See also BT Sport Showcase on Freeview).